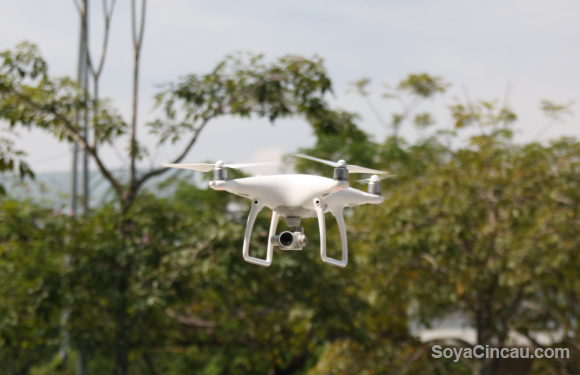 Authorities have issued a warning to the general public who are planning to fly their drones for the 2017 SEA Games taking place this month. In short: Unauthorised drones are banned from taking to the skies during the event. The message comes from federal police internal security and public order director Commissioner Datuk Zulkifli Abdullah as he’s worried that flying unauthorised drones during this period may cause some “serious and fatal accidents with just too many whizzing around uncontrollably”. He also adds that he wants to avoid unnecessary risks to “visitors, spectators, athletes and officials, especially VIPs like ministers and sultans”. These are, of course, very valid concerns. Despite how smart and fail-proof drones have gotten over the years, the fear surrounding these contraptions falling out of the sky have not subsided. After all, it only takes one to fall out of the sky to cause some serious damage. But that doesn’t mean you won’t see drones in the sky during the SEA Games. Terengganu police chief Deputy Commissioner Datuk Aidi Ismail said that organisations like the mass media could deploy drones though they will need to first seek approval from the Department of Civil Aviation (DCA) who will then notify the police air unit. Basically, the point is to obtain permission from the DCA before you deploy your drones during the SEA Games period. The major sporting event will take place from 19th to 31st of August with Kuala Lumpur being the main city hosting the games. There will also be other towns, including Kuala Terengganu, which will be hosting a variety of other events.